Why waste money, time, and resources hiring the wrong person? Associates that struggle in a position they were hired for often do not possess the necessary skills to perform to expectations. Resumes can say many things about skills and are often misleading. 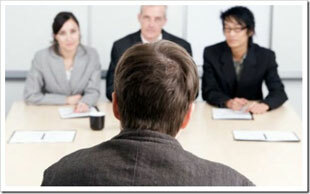 APG employability services empower businesses with the tools they need to hire the right person for the right job. The Skill-set Aptitude Measurement (SAM) consists of a written cognitive processing assessment followed by an interview with a certified behavioral science professional. The customer provides APG with a comprehensive list of required skills associated with the position that are considered critical for success. APG then scientifically analyzes a candidate’s abilities and produces a comprehensive written report combined with graphs and charts for ease in understanding the conclusions of the assessment. The written report is accompanied with recommendations for hiring based on the skills and atributes the customer provided. APG’s cognitive processing assessment is not a personality inventory. Personalities can be altered temporarily to facilitate a moment or situation. The manner in which a person responds to a situation or task is indicative of their ability to process information, and cannot be altered without extensive conditioning over a long period of time. Using a highly engaging system of a written assessment and interview, the candidate or potential new hire answers a series of questions designed to measure a their ability and predisposition to be organized, understand tasks, make decisions, assess risk, be creative, commit information to memory, work as part of a team, need supervision, decisively respond to situations, and process information for critical thinking. By assessing candidates before placing them in a position, the organization can better determine if the candidate possesses the skills necessary to perform to expectations. Working in partnership with the education community and as a 1099 Consultant to the Department of Defense, the founders of Applied Performance Group Services created a tool to assess skill-set levels in an individual that accurately provide an indication of performance potential in a variety of positions or situations. The Cognitive Processing Assessment (CPA) tool enables APG investigators to assess individual performance potential in a wide range of practical situations and environments. The data obtained from the assessment is then validated through an interview process between the individual being assessed and a certified APG investigator. Hiring and task managers can then measure the results obtained from APG against the skill-set requirements for a task or position in order to accurately predict if the candidate has the cognitive predisposition for success. The Cognitive Processing Assessment (CPA) is composed of 88 questions covering eight cognitive (information) processing domains. The CPA focuses on 6 areas of cognitive processing: Logic, Auditory Processing, Visual Processing, Proprioception (Tactile Processing), Attention Control, and Rhythmic Processing, and the environment factors for which the individual can process information in the most efficient manner. The two environmental areas are extroversion and introversion. Information obtained from the CPA can indicate how proficient a person would be in processing information for critical thinking in a variety of settings and conditions, and resiliency and hardiness to adversity. The user’s answers are recorded for consistency, along with such data as the time taken to answer, and how many attempts. This is all compiled in an easy to use reports section, with graphical and textual analysis. The CPA is an ideal initial assessment tool when looking to predict a person’s performance potential for employability, or when assigning tasks within a team. The accuracy of the CPA varies by client; however, it has historically averaged between 90-95% accurate with the majority of clients that have benefited from its use since 2005. Assisting business professionals in achieving their goals of hiring qualified talent can be a guessing game utilizing conventional methods. The Skill Set Aptitude Measurement, or SAM, is a measurement extrapolated from The Cognitive Processing Assessment (CPA) developed by APG. The SAM is an assessment tool used to enable business professionals in the assessment of mental processing attributes of applicants for the purpose of determining if they possess the skill-set necessary to excel in a particular position they are looking to fill. This tool has been used successfully with college students, business professionals, athletes, the U.S. Army Special Forces, and other elements of the Department of Defense. The disciplined application of this assessment began in early June 2005 with college students at the United States Military Academy Preparatory School located at Fort Monmouth New Jersey. One of the chief benefits of this tool is that it empowers hiring specialist with detailed information in the initial interview with a potential new hire that might normally take several months to obtain under normal conditions. 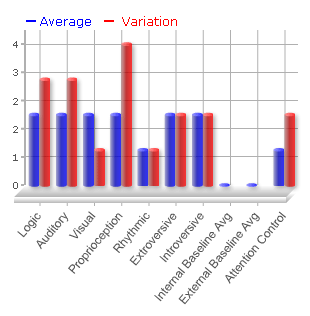 The accuracy of the written and online cognitive processing assessment varies by client; however, it has historically averaged between 90-95% accuracy with the majority of clients that have benefited from its use (2005 to 2011); however, the SAM combines the written cognitive processing assessment with an interview facilitated by a certified professional which brings the accuracy up to between 96-98% accuracy consistently. The interviewers are considered experts in human performance from and come from a behavioral sciences field such as clinical psychology with a specialization in human performance, or performance psychology. The “mind-behavior” connection begins with the mind, and as human beings we are all unique. Some of us may have struggled significantly with math in school where as for others breezed through it. Some of us were star athletes where as others were confined to the role of spectator. What makes us the person we are? Modern science provides us with some answers to these questions as it pertains to human development, and if business professionals seek to hire truly qualified applicants they must first understand and appreciate the dynamics of human development. Everyone possesses a unique approach for how they process data, or stimuli, for reasoning and decision making that affects their performance capabilities in a variety of situations including their abilities to work independently and in social situations. This skill-set assessment is designed to measure aptitude based on a lifetime of experience that may, or may not, support a desired skill-set for a position in a company. Human being have the ability can strengthen specific skills and improve over time; however, the costs associated with training and lack of production while a person gains experience can be considerable depending on the person. The SAM is composed of 88 questions covering eight cognitive (information) processing domains. These domains include Logical, Auditory, Visual, Proprioceptive, and Rhythmic association that are classified as internal factors to cognitive processing, and Attention Control, Extroversive and Introversive that are considered external or environmental factors.